Nonah, from the tiny fishing village of Santubong on the west coast of Sarawak, joins her parents who are teaching in a school deep in the Rain Forest. Nonah is not only homesick for her coastal homeland, she is also a very shy girl. But she soon loses her shyness once she is befriended by Payah and her friends, Usun and Precious Jade, for whom shyness is an alien word. They write a story winning them a trip to Sarawak’s loveliest of National Parks – Gunung Mulu. The journey to Gunung Mulu National Park involves crossing rapids and, for the girls, exciting plane rides. But what happens in Gunung Mulu National Park is even more strange and exciting. They uncover a plot to steal very rare orchids. “Through the eyes and hearts of Payah and her friends, including newcomer Nonah, Margaret Lim shares with us her love and fascination for Sarawak – the rich heritage of the land, her people and their culture. It is easy to get drawn into the world of the spirited and courageous young heroes in their latest scrape, oops, adventure to save the Paphiopedilum Sanderianum! Parents will enjoy sharing with their children this entertaining tale, so vivid in its imagery. I did!” - Carolyn Choo, Head, Department of Early Childhood Education, SEGi College, Subang Jaya. “This fourth sequel is not only a rip-roaring adventure. It is also about friendship as Margaret Lim continues to capture the essence of being children in a multi-ethnic society and particularly, of growing up in rural Borneo. 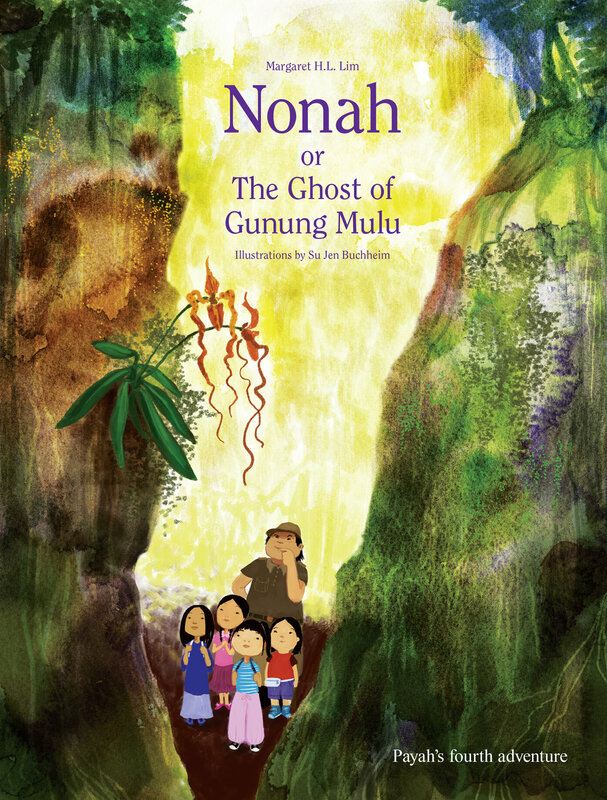 As in her three other books, Nonah conveys a conservation message.” - The Borneo Post.